Bombay Shola, the small path of indigenous high altitude tropical evergreen forest, is a naturalist’s delight located near the bustling center of the hill station of Kodaikanal. 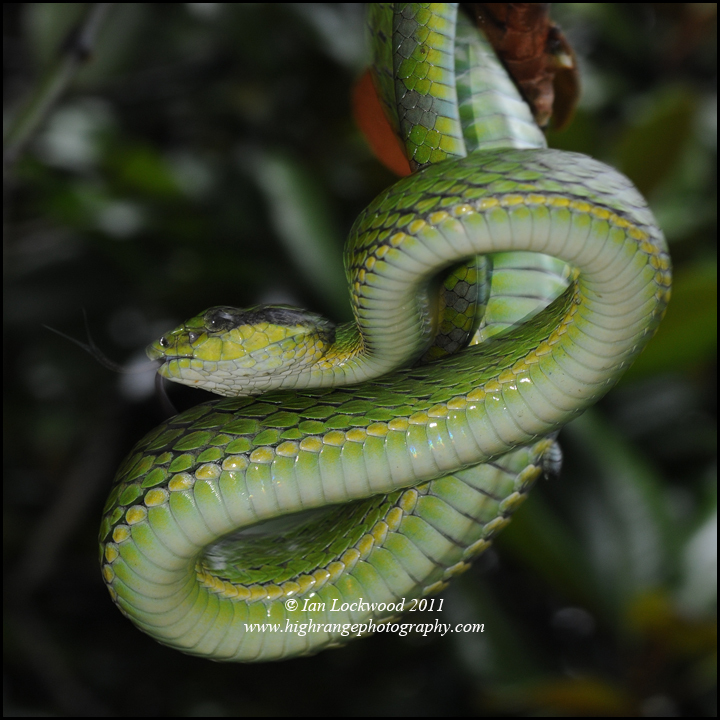 It provides a habitat for endemic birds, a dazzling variety of plants and large creatures such as Indian gaur (Bos gaurus) and Malabar Giant Squirrels (Ratufa indica). For residents and visitors alike it is a place of solace, a place that takes one back to a time before the lake, the buildings and crowds of humans. 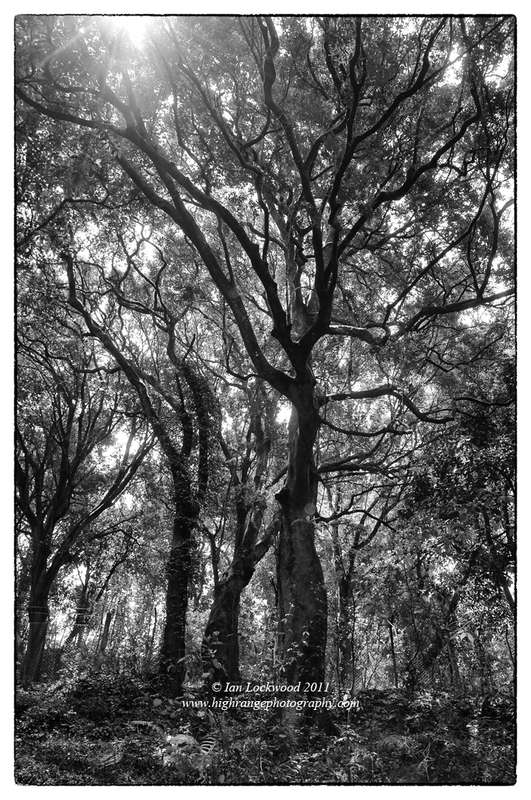 These are some of my reflections on the forest from walks over April and our summer in Kodai. For further reading on the forest see my November 2010 article in Frontline. 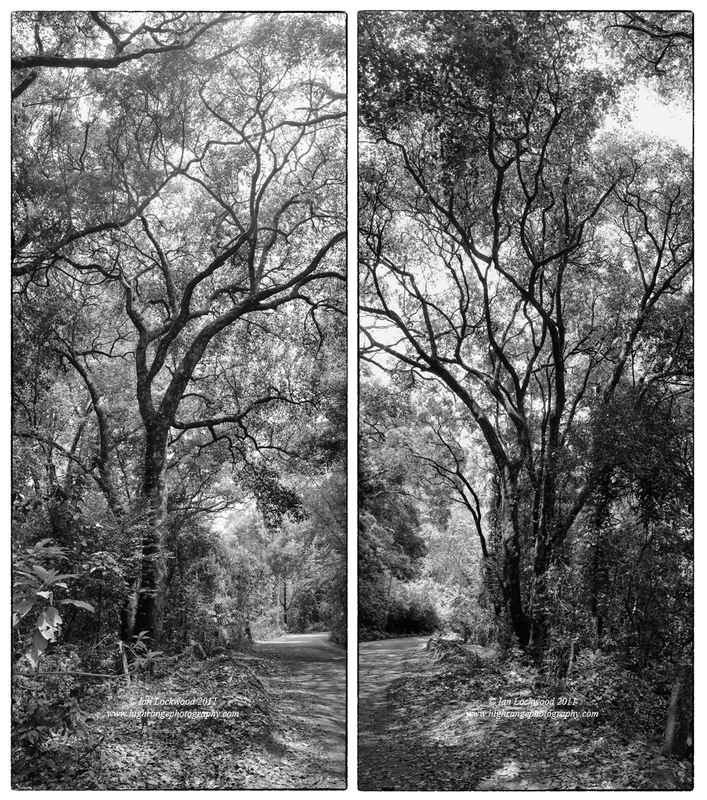 Study of a shola tree (west and east views) on Lower Shola Road. 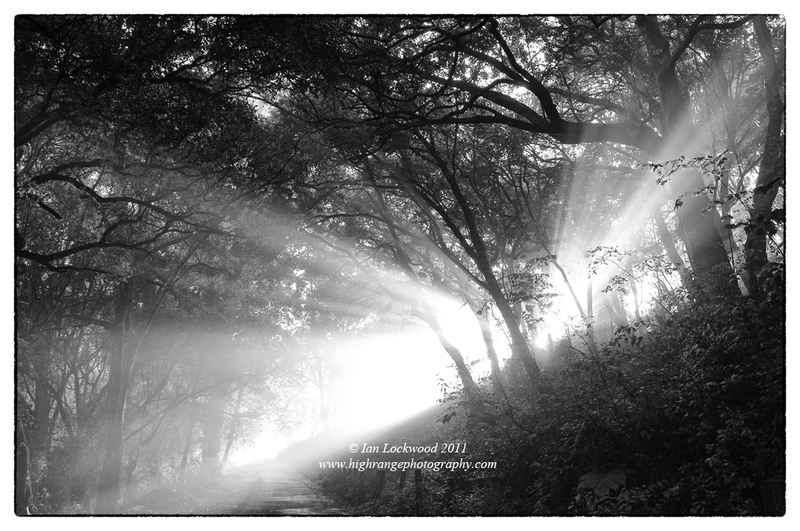 Creation light on Lower Shola Road near the Bryant Park (eastern) side of Bombay Shola. 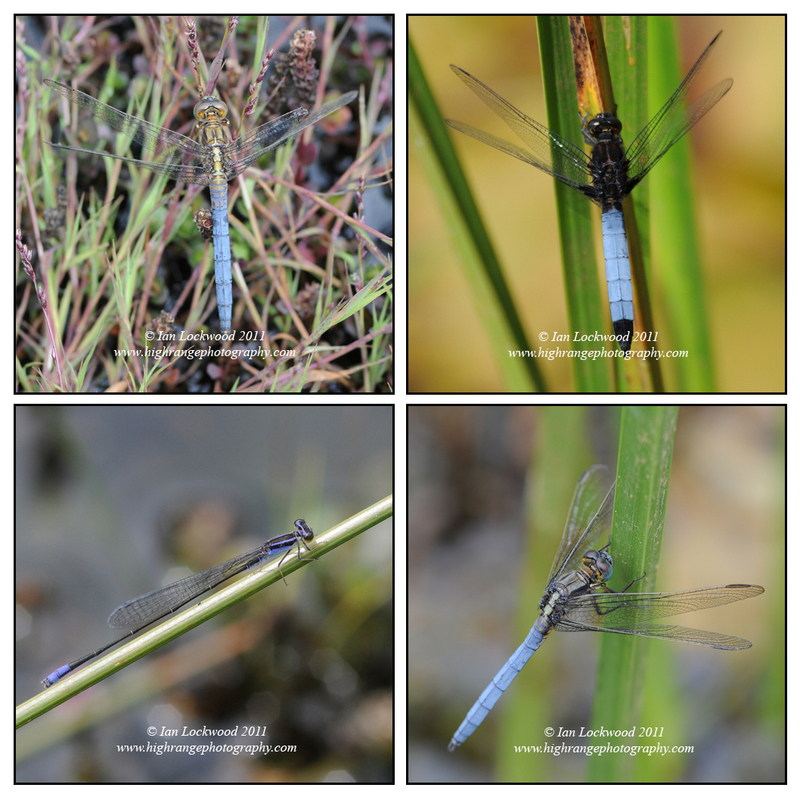 Odonata in the marshes below Bombay Shola and by the lake: (Clockwise from upper right): Orthetrum triangulare (male), Orthetrum luzonicum, Archibasis oscillans (possibly), Orthetrum luzonicum again. 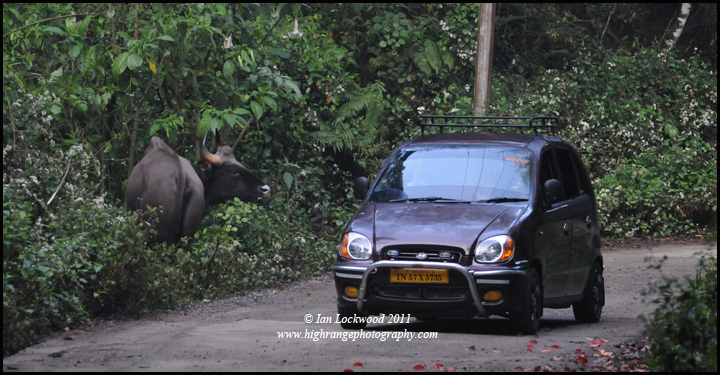 Gaur and vehicle on Lower Shola Road, Kodaikanal, Palani Hills. 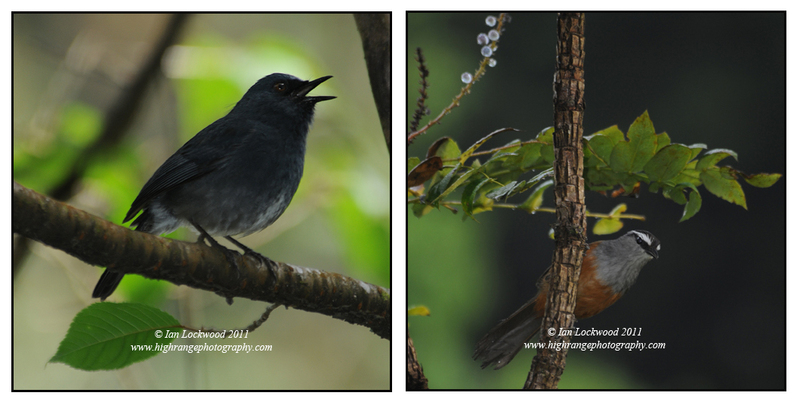 White Bellied Shortwing (Brachypteryx major) and Grey Breasted Laughing Thrush (Garrulax jerdoni), two endemic shola birds, photographed on Lower Shola Road. Shola crown at the bottom of Violet Lane in Bombay Shola.